Technician Manager – Now Hiring! 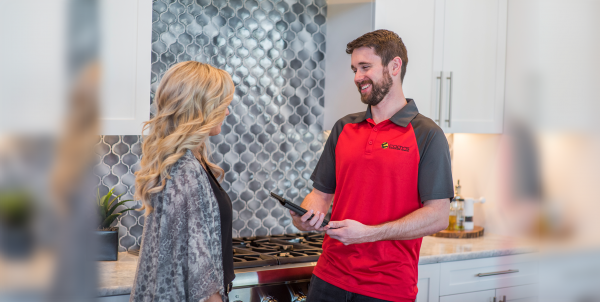 Cody’s Appliance Repair in Eagle, Idaho, is seeking an individual who is experienced in appliance repair to manage and lead our crew of 10 technicians. We are a highly-rated company (United Servicer’s Association Most Professional Service Company 2018 and 2016 with a high Google rating of 4.9/5.0), that is committed to top-quality service and professionalism in our industry. We are the best in the Treasure Valley and we work hard to maintain our reputation and standing in the community. For those who might consider moving to our beautiful city, please see our relocation guide link to know more general information about Boise, Idaho, housing, quality of life, schools, etc. We will also consider relocation assistance for the right individual. Cody’s does 90% COD repair work with 85% first-call-completion rate. That is only achieved with outstanding training and management of our technicians, our routes, and our parts. And as commissioned employees, we do all we can to ensure their success in the field by having diligent oversight of the various moving parts to ensure the customer is pleased and satisfied with our work. Working knowledge of computers, spreadsheets and programs associated with our industry. Do site survey, follow-up, and/or additional repairs for clients who need special attention. Help hire, fire, and counsel technicians, when need arises. If you are looking for something new, a chance to get out of the field on a daily basis, perhaps management is the next step! We are happy to train the right individual for the specifics of this position, but we are always open to change and improvement and new ideas. Please contact us with your questions or interest in this position. Be sure to check out our website to know more about us.